Hey there! 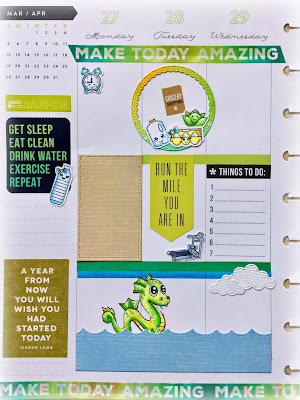 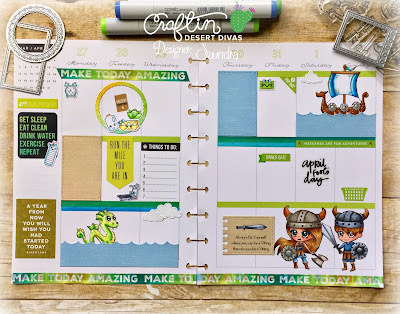 Saundra here to share a weekly spread in my Happy Planner! Today I am featuring the new Norse Warriors stamps that were just released this month. As you can see I did some coloring with Copic markers, I cut my images out, and added them to my weekly spread. 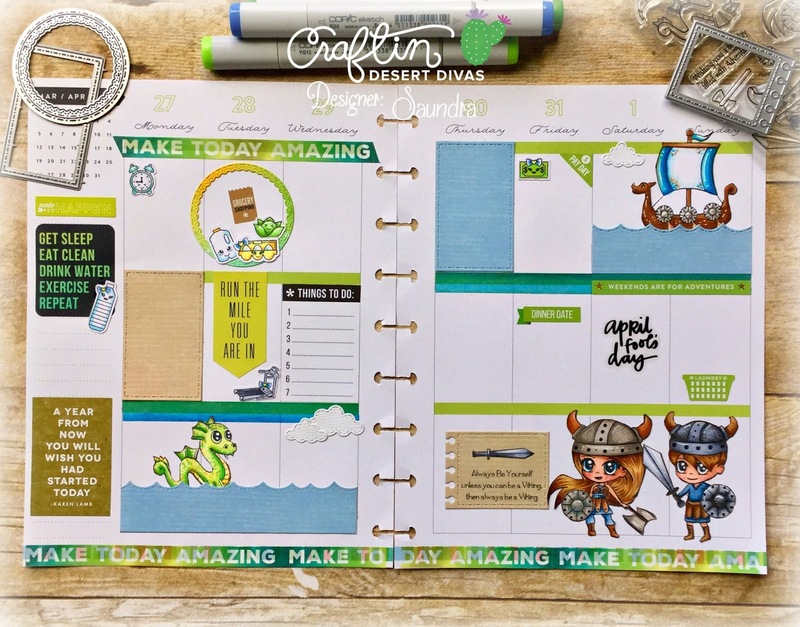 I love how CDD has so many dies that work perfectly with the Happy Planner. 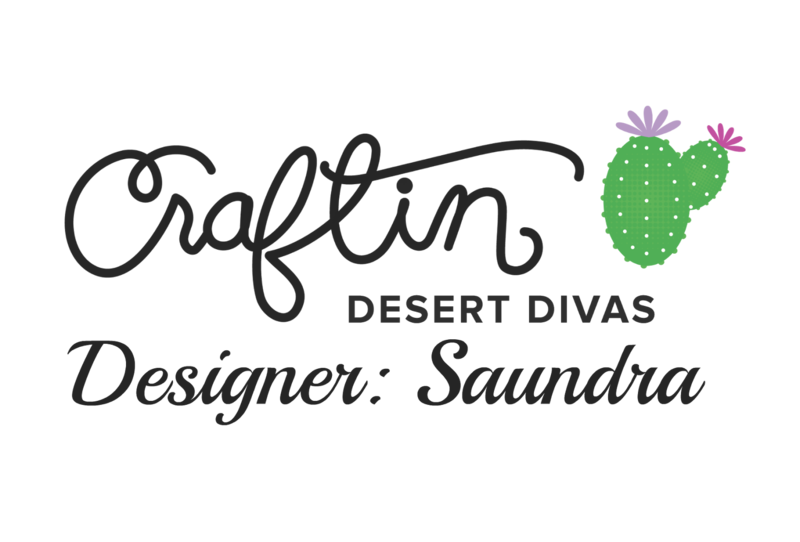 I used several CDD products that I will list below. 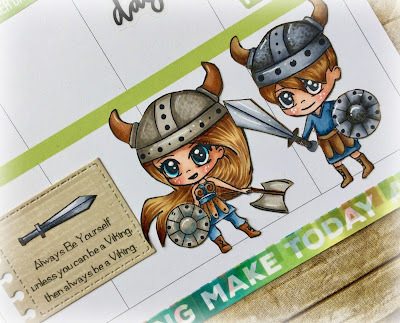 Here is a little close up of my Viking warriors and I love this sentiment that comes in the stamp set!! 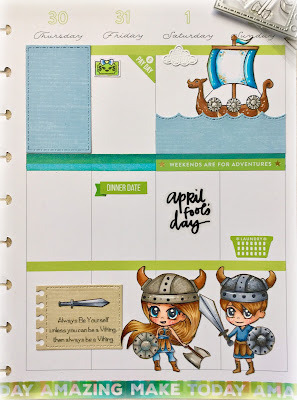 I hope this inspires you to get out your planner and decorate it using your stamps and dies!